Are you ready for your afternoon snack? Afternoon snacks are brief updates on restaurants and bars in and outside of Brooklyn. I want to ensure you have the latest and greatest recommendations as I explore these culinary landscapes. Don’t worry normal posts will continue as well! I’m a serious sucker for banh mi sandwiches, so my selection at 5ive Spice was undoubtedly their classic banh mi. 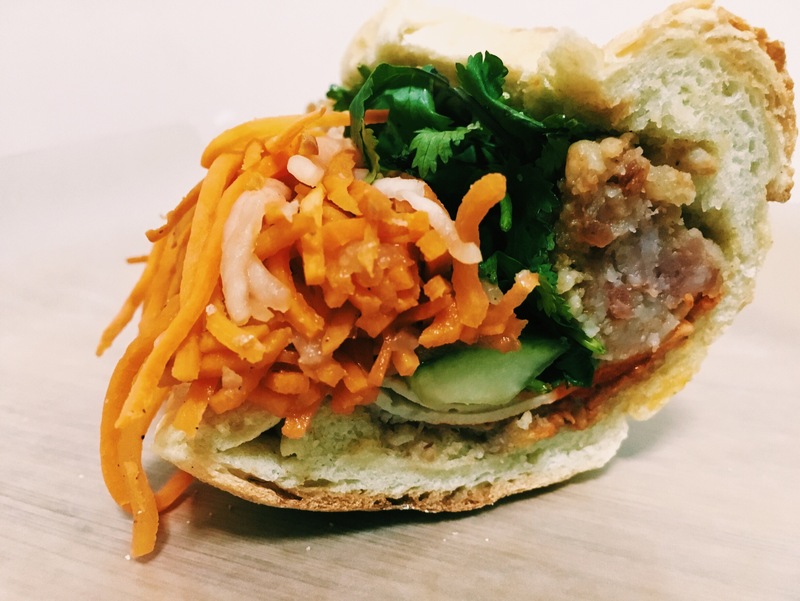 To my surprise, the classic banh mi was different from other banh mi sandwiches I’ve enjoyed in the past. 5ive Spice’s classic iteration features Vietnamese and smoked ham, smoked ground pork and marrow mayo pate. Of course, the sandwich was also topped with a heaping amount of cilantro and pickled vegetables. Play around with additions like hoisin sauce or the housemade green sriracha, but honestly this sandwich can standalone. BrklynHospitality’s Quick & Dirty: 4/5. Swing by 5ive Spice for a quick transport into the Vietnamese food scene. The restaurant is conducive to small groups, but I would not recommend more than a group of five or six. The menu is diverse yet simple and affordable. Next time, I’ll definitely be returning to check out the pho selections. Enjoy a mason jar of Vietnamese coffee or stick with the complimentary mint-infused water. Stop at the ATM before you go – this restaurant is cash only!